Happy Tuesday! Crystal here to host the blog, hope you had a great Monday. 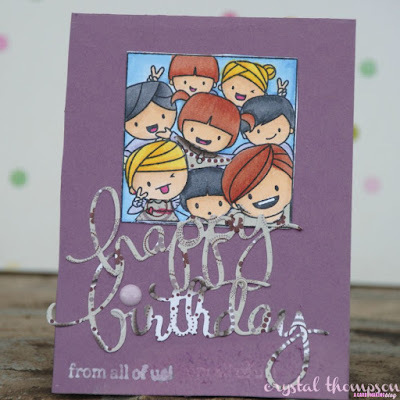 Today I am showcasing some gorgeous violet/purple papers from Quick Quotes. 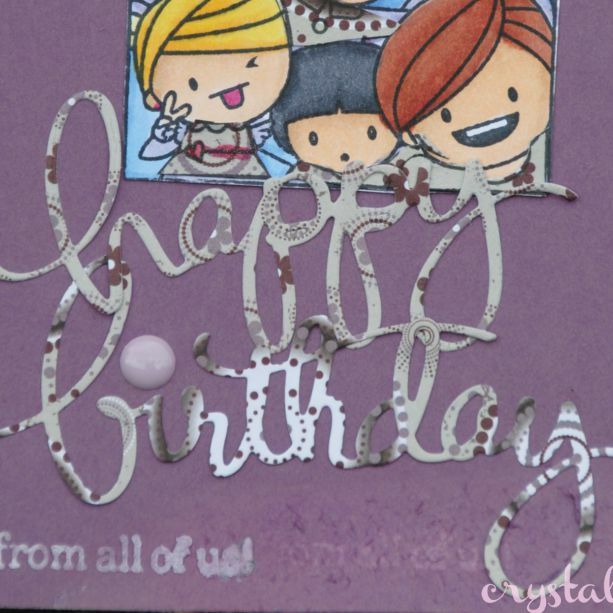 I used Alton 100 to die cut the happy birthday and used PowderPuff Chalking Ink in Cherry blossom to add the sentiment. Then I stamped my image on Alton 100, I cut out the people's clothes and glued them on. The birthday die cuts turned out awesome using Alton 100! Thanks for stopping by today! Can't wait to see what you create.